It has been brought to our attention by a member of the site that the Scarface edit by Maniac utilized pirated source material. Fanedit.org has a strict no piracy rule and as such the edit has been removed from the site and Maniac has been permanently banned. This rule is not flexible. Break it, and you will be banned. 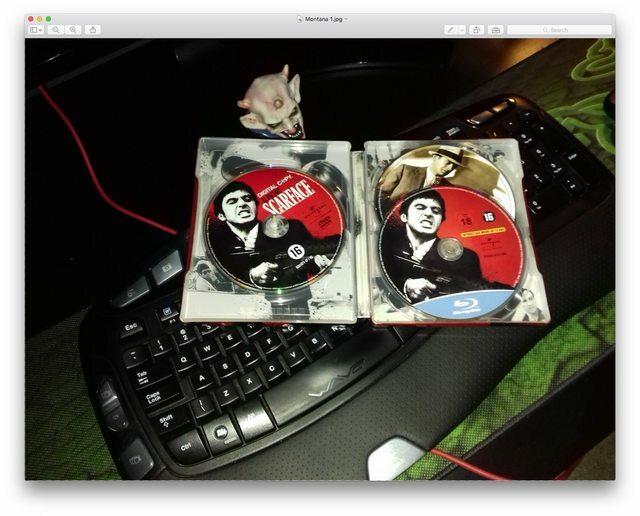 (02-28-2018, 03:06 PM)reave Wrote: It has been brought to our attention by a member of the site that the Scarface edit by Maniac utilized pirated source material. Fanedit.org has a strict no piracy rule and as such the edit has been removed from the site and Maniac has been permanently banned. This rule is not flexible. Break it, and you will be banned. Quick question, how do you know that Maniac utilized pirated source material? I can't speak for the other admin, but I for one don't necessarily want to say. Others who may use pirated sources might then not make the same mistake. 100% agreed with Q2. We are convinced it was pirated and that should be enough. im just wondering which part you guys think was pirated? The part that he didn't rip from his Blu-ray. Why didn't he rip it from his Blu-ray? We don't know. But the reason doesn't matter. Quote: To ensure the copyright owner receives compensation for their work, a faneditor must use an officially released source they purchased. Note: It doesn't say it's enough to own the source. You also have to use the source. We are sure he did not. May I ask how far back, and why he sent it to you? For cover art & disc label. His being UK release. 2-3 weeks back for a guess. Why?